We’ve compiled a concise guide to one of the world’s most popular grapes, including some facts that may surprise even the most committed drinkers of Pinot Grigio. It should be said at the outset that although the variety is considered distinctly Italian, the grape in fact hails from France where it’s called Pinot Gris – the gris (or grigio) meaning grey, in reference to the colour of the berries. Pinot Gris is actually a colour mutation of red grape Pinot Noir, which occurred in Burgundy, although the “earliest reliable mention” of Pinot Gris in fact took place in Germany’s Baden-Wurttembery in 1711, according to Wine Grapes. As for its arrival in Italy, the same reference book suggests that Pinot Gris was introduced to Italy in the early 19th century in the north of the country, specifically the Piedmont. And certainly today, it is northern Italy that dominates the global production of this grape. 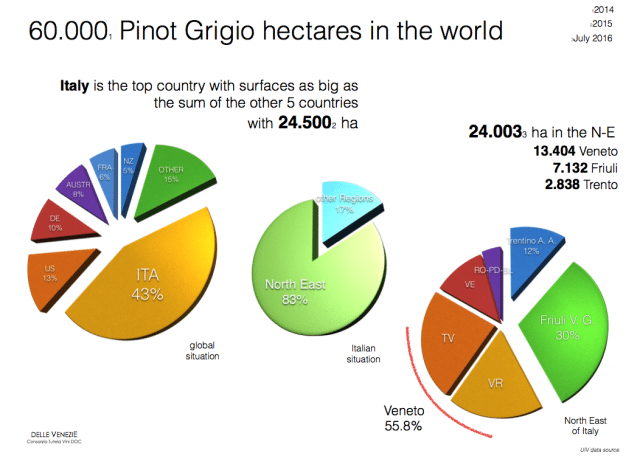 So, while Pinot Grigio – to use its Italian synonym – may be a global grape, with plantings worldwide totalling 60,000 hectares, Italy leads with 24,500ha, of which all but 500ha are in the northeast of the country. Indeed, a vineyard area covering the Veneto, Friuli and Trentino-Alto Adige has, since May this year, been granted a new DOC, called Pinot Grigio delle Venezie DOC. This more tightly-controlled production zone will account for as much as two thirds of Italy’s annual 300 million bottle Pinot Grigio output. Importantly for Pinot Grigio lovers, all the wines bearing this new classification will have to be certified by an independent commission before being bottled, in the hope this will eliminate poor-quality entry-level Pinot Grigio. 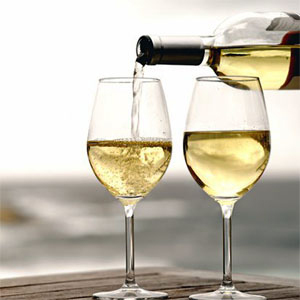 While this blind tasting competition will highlight the best producers of the grape, and predominant styles, in general, Pinot Grigio can produce light, fresh wines that taste of apples and pears, as well as richer, full-bodied whites with yellow-fruit flavours, such as peaches, along with, in Alsace particularly, great botrytised sweet wines too. In the meantime, see the following pages for everything you need to know about Pinot Grigio, including planting trends and market developments. Thank you for this excellent history and analysis of Pinot Grigio wine. Really useful source for an article I have written for Feast on Vocal Media with credit to your work included.